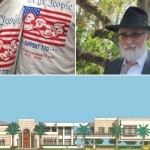 About a year ago, Chabad of East Boca Raton, Florida, under the leadership of Rabbi Ruvi New, got approval from the city to begin construction on a magnificent synagogue and community center. Neighbors immediately filed three separate lawsuits to stop the project, and this morning, they prevailed in one of them. The challengers to a controversial synagogue planned near downtown prevailed in one of three lawsuits against the city of Boca Raton on Monday when a judicial panel ruled the City Council was wrong to approve the project. 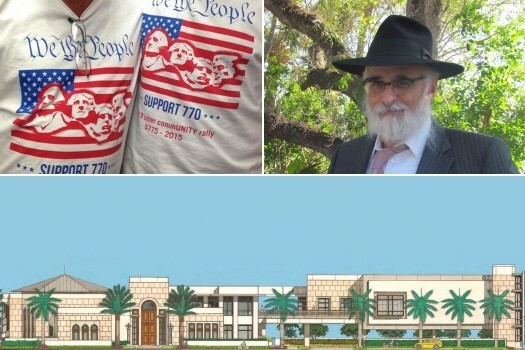 The city attempted to read its zoning rules in a “disjointed manner” and such a reading is “unreasonable and clearly erroneous,” the court said in its 11-page opinion, delivering a major blow to the Chabad of East Boca Raton’s plans to build the first religious institution on Boca’s beachside. 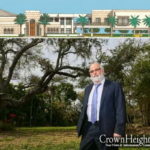 Last summer, Chabad gained city approval to build a $10 million, 18,000-square-foot religious center on a piece of property on the corner of East Palmetto Park Road and Southeast Olive Way. Plans include a sanctuary and a nearly 6,000-square-foot museum called the “My Israel Center,” among other amenities. Click here to continue reading at the Florida Sun-Sentinel.